Don't Sweat Rising Mortgage Rates, Learn About Commission Advances! As we outlined in a separate post this month, the overall trajectory of real estate markets in Canada is undergoing a bit of a course correction at the moment, as the public adjusts to a variety of government policies and – of course – the announcement that mortgage rates will begin to rise over the next year. 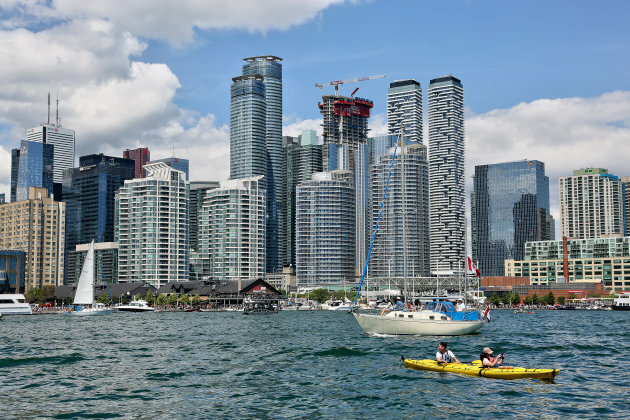 In Toronto and Vancouver – traditionally the superstars of the Canadian real estate scene – the markets are going to undergo drastic changes before they resume a steady pace of sales. Even then, things may never be quite the same as they were. Here at the AccessEasyFunds offices, we genuinely believe that where there’s a will, there’s a way; although some will despair that a golden age of Canadian real estate is coming to a close, we would argue that although the paradigm may be shifting, there are still a lot of opportunities out there for agents and brokers with a healthy imagination. For example: outside of the hot Vancouver and Toronto markets, there is plenty of population growth in cities such as Halifax and Calgary. Once the public adjusts to the new mortgage rates, there will still be an appetite for purchasing homes. Death and taxes are typically listed as constants in life, but you could always add the need for shelter to that list. Thus, there will always be a role for realtors to play. Even if you look at the shift that has occurred in Vancouver, you will see that the market has simply shifted more towards condominiums and other forms of attached units, rather than detached houses. In Halifax, Toronto, Mississauga and many other localities, the public appetite is shifting towards smaller units that require less commitment. AccessEasyFunds, as you may already know, offers advances on any type of commission at an extremely reasonable rate (a $5,000 advance for 30 days on a residential deal, for example, costs a mere $112.50). These commissions extend to deals on condos, commercial spaces and even pre-construction condo purchases. Thus, to weather the downturn in sales of residential houses, a broker or agent may do well to turn their attention towards the condo markets. As our major Canadian cities grow larger and larger, developers will continue building higher and higher, satisfying the population’s appetite for smaller units at reasonable prices. Furthermore, in cities such as Halifax and St. John’s there is a fast growing market for commercial and residential spaces that savvy realtors could capitalize on if they act quickly. While navigating this new market may present some challenging difficulties, taking advantage of our commission advancing services can help you stay afloat while you strategize and decide on how to focus your energy. The rate that we charge is often tax deductible, and we are also a technology savvy service with a quick turnaround: if you close a deal and send us the information, we can turn it around and have the money in your personal bank account that same day, all through the use of a proprietary app that you can download onto your phone. If you’re concerned about recent shifts in the Canadian real estate market, don’t get upset, get creative. If you feel you need more information on who we are and what we do, you can always get in touch and speak to one of our representatives. Call today for more info!